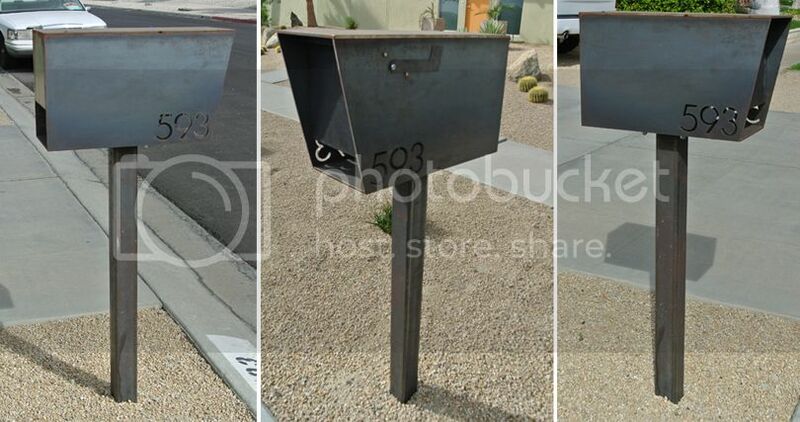 Currently, our mailbox is a plastic, big-box-store mail receptacle that was here when we bought the house in 2012. I suppose the only thing I don't HATE about it is that it's black and not forest green. The stickers that make up our street address are falling off on one side, and honestly, I was crossing my fingers the winter plow would bulldoze it over so this project would move to the top of our ever-growing list of "would eventually like to do". I'm sure you know my husband, Greg, is ever-so-amazing, and if he could fabricate this elaborate stair railing (above) for us, then surely, a simple steel mailbox with cut out numbers should be no problem, right? Right. Since last year we focused on the interior of the house, this summer we plan to focus on our yard, which includes crossing our fingers that the grass seed we planted last Fall actually comes up again. Seriously, though, we'd like grass this year. We also have a yard light that needs attention, various planters to plant with annuals, and decide if we're going to fence the rest of the backyard (we have two partial fences - that do NOT match - from different neighbors). And then, of course, there is the part where we will have a three year old who LOVES being outside - I'm sure we're going to live out there most days this summer. I cannot wait. 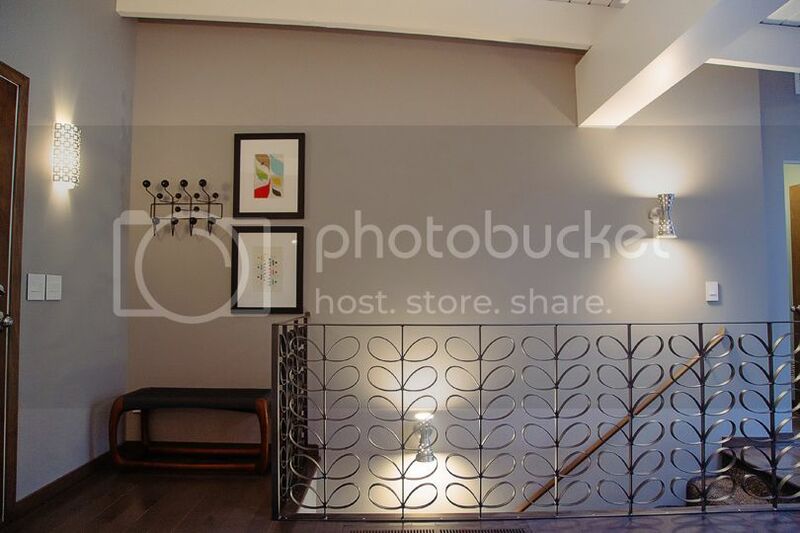 My goodness, the stair railing is so adorable.